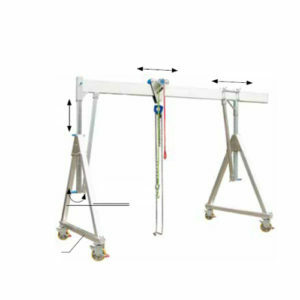 The gantry cranes are used in places where stationary cranes (bridge cranes, pillar jib cranes, etc.) 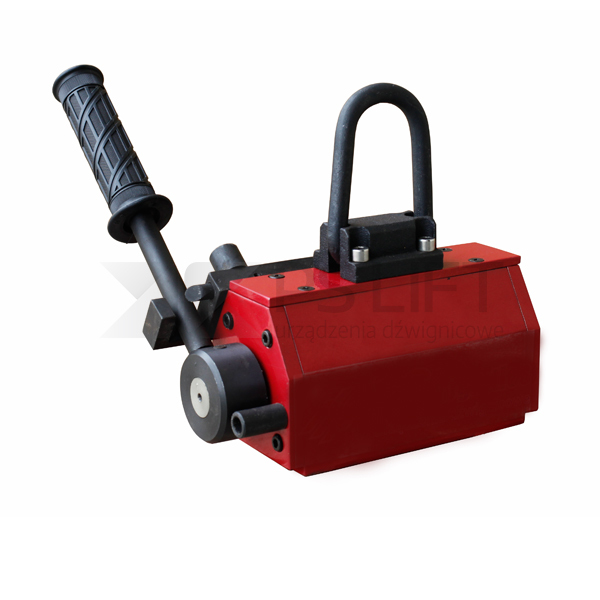 cannot be applied. 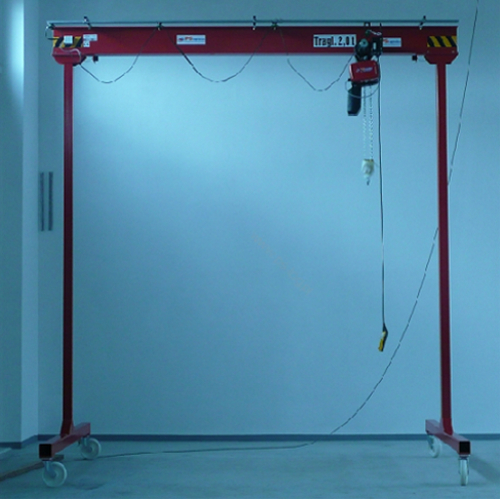 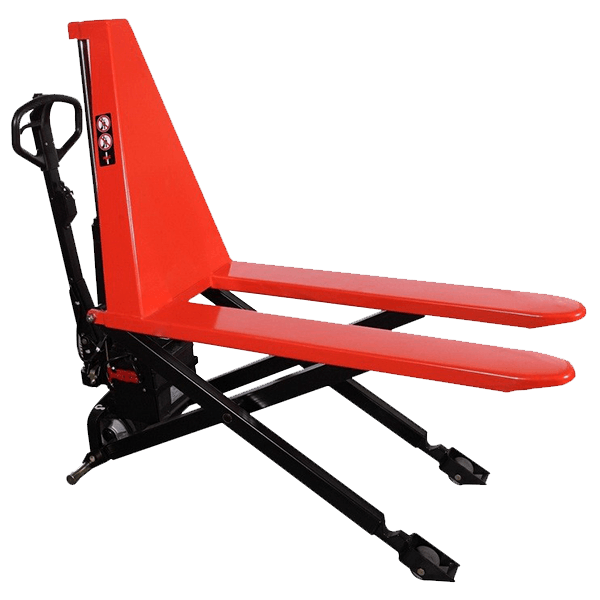 A gantry crane, also known as a portal crane, is a great alternative for mobile worksop cranes. 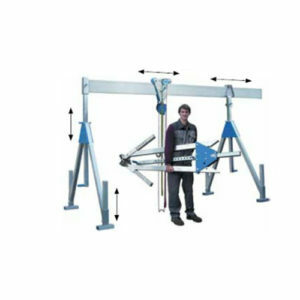 PS Lift gantry cranes can be made of aluminium or steel. 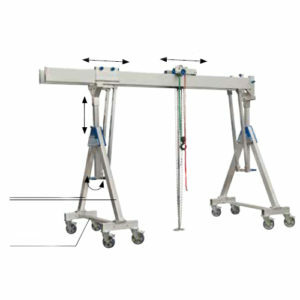 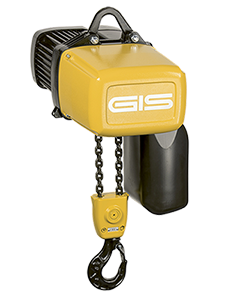 In the rich portfolio of gantry cranes you will find also devices facilitating passing the crane with a suspended load. 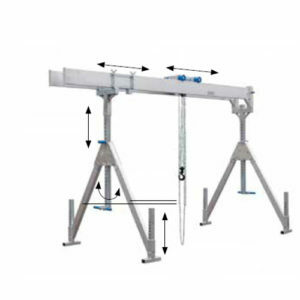 These aluminium gantry cranes are folded, and the girder can be split into 2 parts. 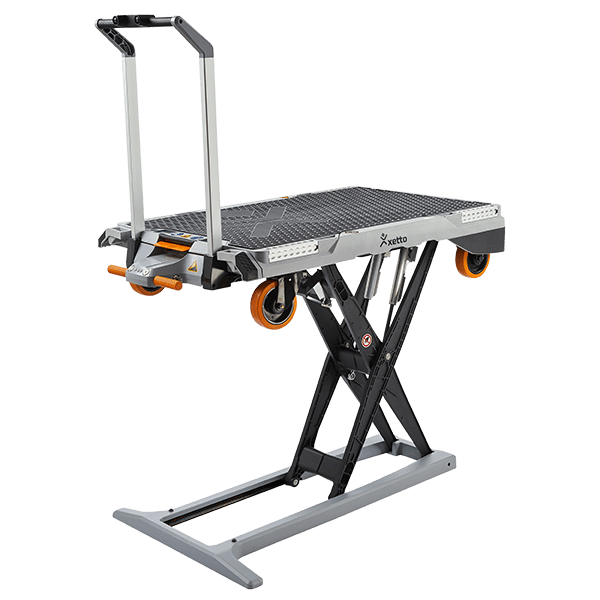 Thanks to this solution we can place the equipment in a supply truck to take the gantry cranes to any assembly or maintenance.